Taking care of a newborn has to be one of the most demanding and rewarding jobs in the world. It might seem like a thankless job when you’re pulling all nighters, but those first few months of your baby’s life will be some of the most memorable moments you live. 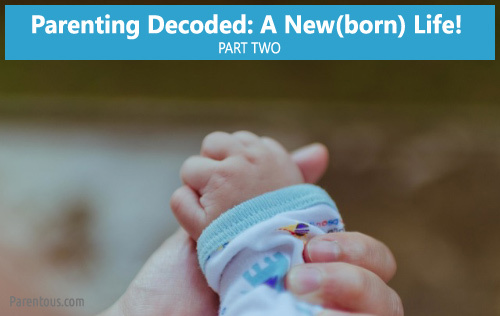 We dealt with some issues about taking care of new babies in Part One of A New(born) Life!, and now Parenting Decoded brings you Part Two of the series. We think whoever coined the term ‘Sleeping like a baby’ never met an actual baby in their life. When babies decide that they don’t want to sleep, convincing them otherwise is next to impossible. Infants do a lot of sleeping, just not when we want them to. Sunita Rajwade talks about how she dealt with the issue. Kids are tender beings, and need the utmost care. Even if you strive to keep your child safe, chances are that they will fall ill, injure themselves or have some scary symptoms. At such a time, these first aid tips by Archana will come to your rescue. You know what’s more exhausting than taking care of a newborn? Fending off the myths surrounding motherhood and new babies. New age moms may scoff at these myths, but elders will still turn up their noses if you don’t pay heed to them. Thushara debunks some baby myths. 4. Why is your baby crying? Awaaaaaaah! Goes the baby and then begins the guessing game about why the baby is crying. Don’t worry, your baby is not crying because they’re stuck with you for life (just kidding). Turns out, babies are simple beings who need just a few things, and cry when one or more of these things don’t happen. Why do babies cry? Tejaswini has some answers. The life and ways of a new mommy are an open book, a book that is open for dissection by everyone. Most people who visit the new mom and baby bring along gifts and bucketfuls of questions. 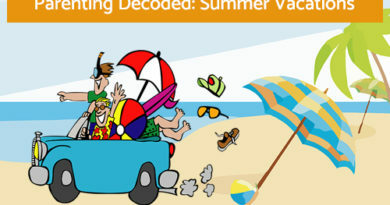 Aditi tells you which questions to steer clear from. 6. Separation Anxiety, but for whom? Many new mothers leave their work life behind and turn to full time mommyhood, because they think their baby needs them. The notion is that since a baby is dependent on its mother for all her needs, it will suffer from separation anxiety when mommy leaves for work. Is that really the case? Ghata shares her experience. Babies don’t stay tiny forever, and before you know it, they are teenagers with minds of their own (which more often than not clash with yours, no less). Even if you’re super busy raising your child, take some time out to record and preserve your baby’s memories, so that you and your child can revisit them when they grown up. Anne John tells you how. We think of babies as eating, sleeping and pooping machines, but truth be told, all of them have personalities of their own. You’ll be surprised at how many likes, dislikes, traits and quirks are packed in that tiny body. Aloka wonders about her baby’s liking for nature and gets some answers. In olden days, men used to go off to war, and have ballads written about them, regardless of whether they were the victors or the vanquished. You know who deserve epic poems dedicated to them? Mothers. Aditi Mathur makes up for the lack of odes written to mommies by penning down one herself. Once you’re a mom, there is no going back. You will never hit ‘Pause’ on motherhood and go back to life before a baby. Both lives are equally cool, but mommies bond together with fellow mommies over topics that are alien to the rest of the world. More power to mothers that stick together! Everyone will agree that there is nothing more important than keeping a baby safe and healthy. The whole family and summoned helpers work towards one goal of keeping the baby in best shape. Sometimes, the lines between ‘ways to keep baby safe’, and ‘absurd illogical practices that are insisted upon’ get blurred, as Cynthia finds out. You might think that becoming a parent changes life in the biggest way possible, and you’re right. What is also right is the fact that parenthood changes your life in small ways, ways which might seem inconsequential but which affect you the most. Gauri does a fun ‘Before’ and ‘After’ comparison. When the baby is very young, you can’t wait for it to grow up and play with you. But once it starts crawling and changing the interior decor of the house, you wish it would sit in one place! Then comes the next step, literally, when the baby starts walking, and it’s another era altogether. This was the second and final part of the New (born) life posts. 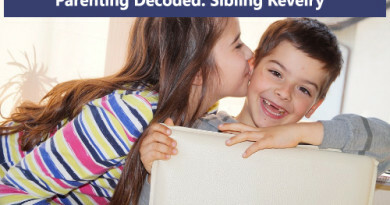 We’ll be back soon with posts about the rest of the parenting milestones and issues. If you have any thoughts about taking care of newborns, let us know in the comments section below!